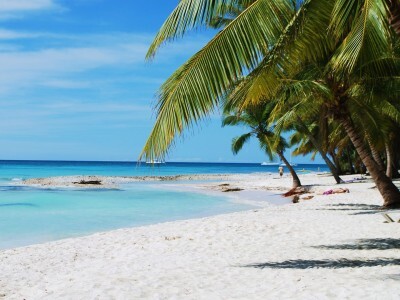 The Dominican Republic is a very popular tourist destination with plenty of hotels, B&B’s and a great surf camp, so finding a place to stay isn’t very hard, however finding a good place to stay for your surf holiday in the Dominican republic isn’t that easy. 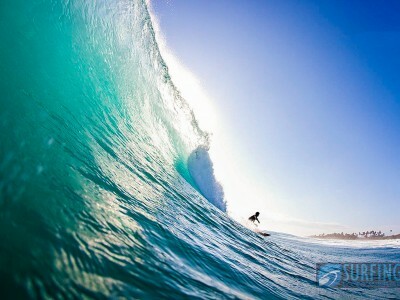 The North coast is the most consistent area for surfing, year round. 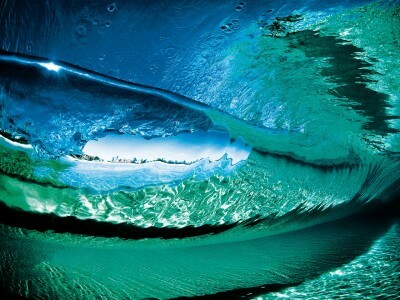 The south coast also gets waves, but not nearly as consistent as the North Coast. 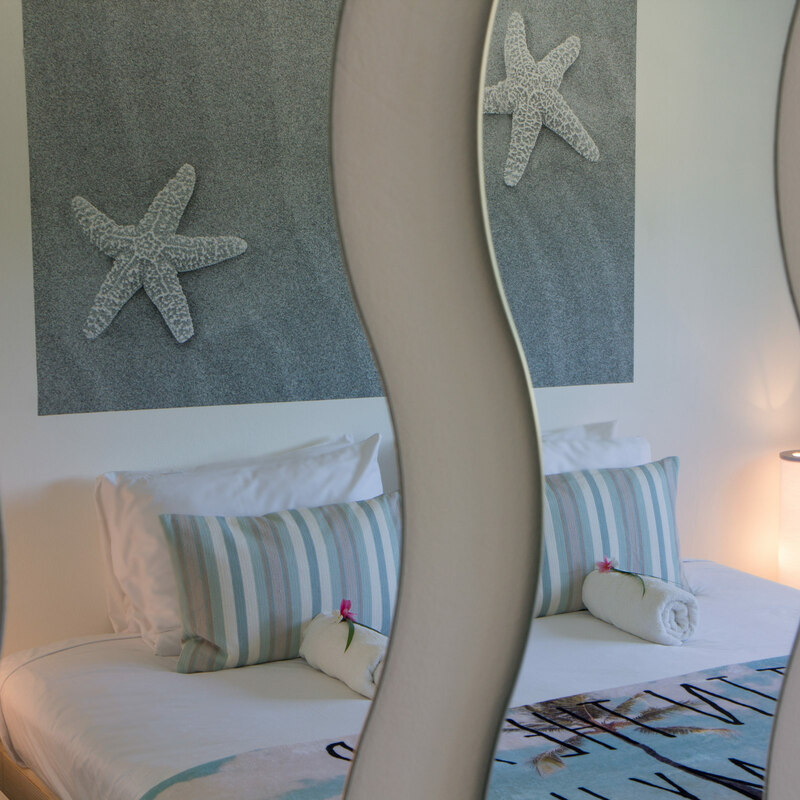 The Punta Cana area is very popular amongst tourists in the recent years, because of the abundance of all inclusive hotels. 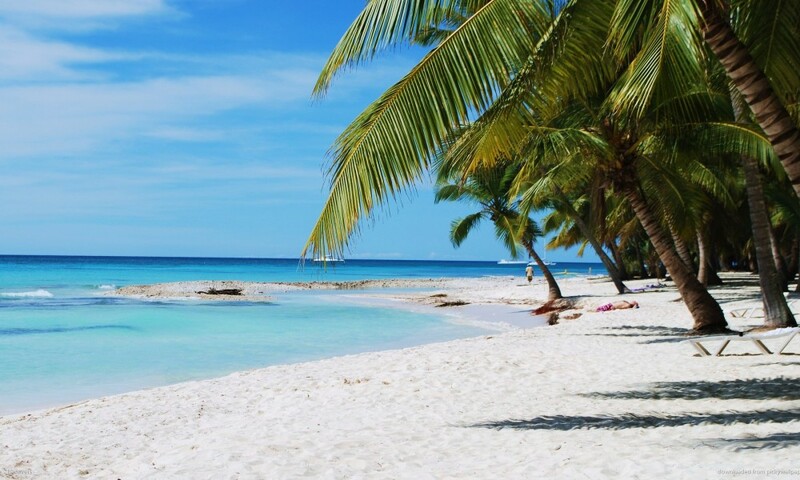 The popularity of Punta Cana is also one of the reasons why it is NOT a very good ;location to base yourself for a surf vacation in the DR. 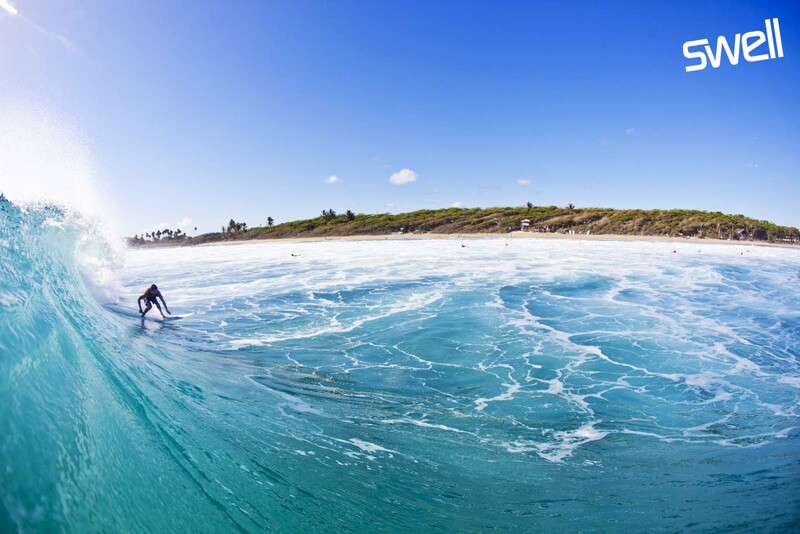 The outer reefs block almost all waves, resulting in flat waters in the lagoons, which is ideal for the sunbathers and toddlers, and useless for surfers. 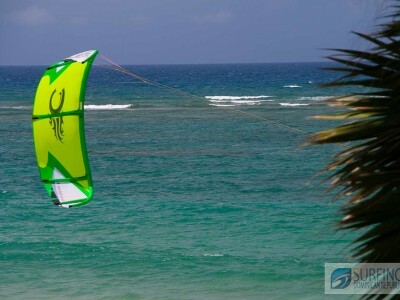 Macao has a mediocre surf spot in the Punta Cana region, it’s ok for a 1st day surf lessons, but not great for anything after that. 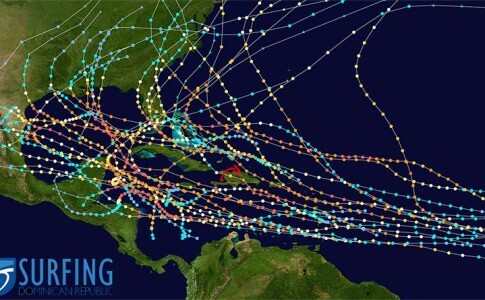 The main toursist towns on the North coast are Puerto Plata, Sosua and Cabarete. 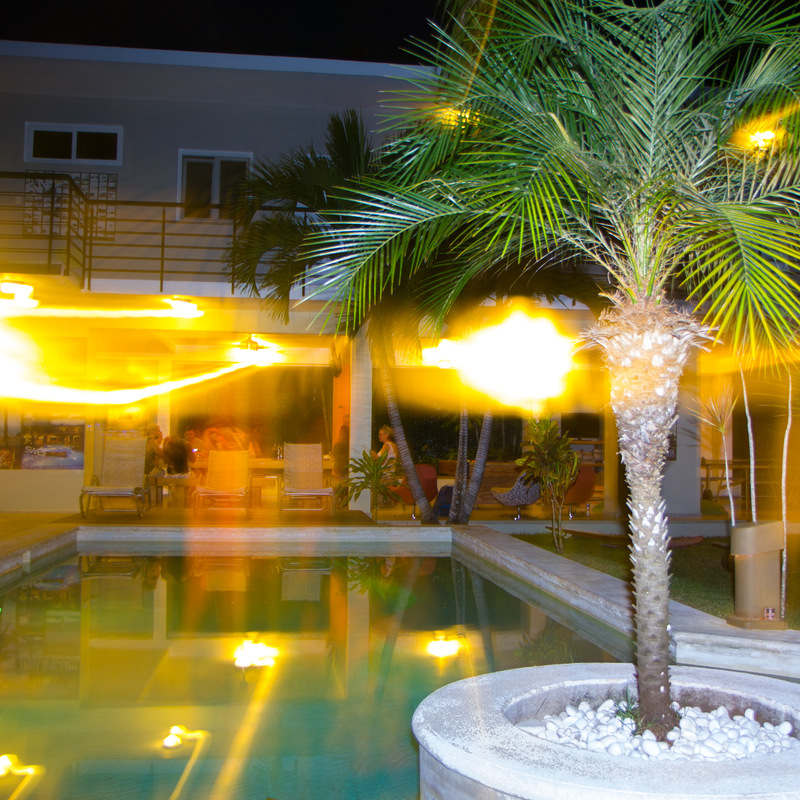 Puerto Plata: Large, dated all inclusive hotels, at least an hour drive from decent consistent surf. 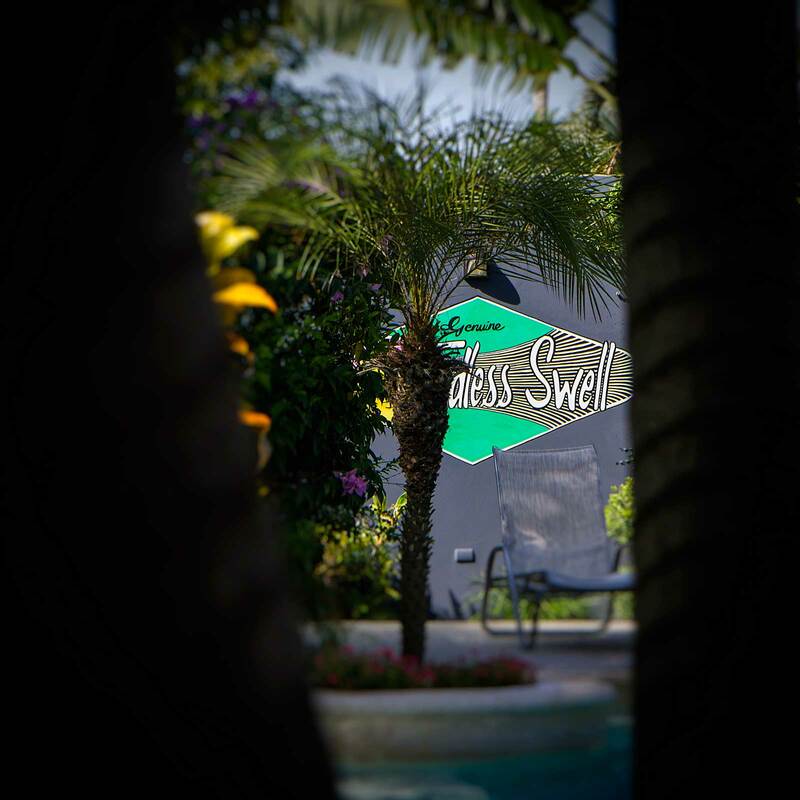 The main water sport center on the north coast, several surf spots within a 8 mile radius. 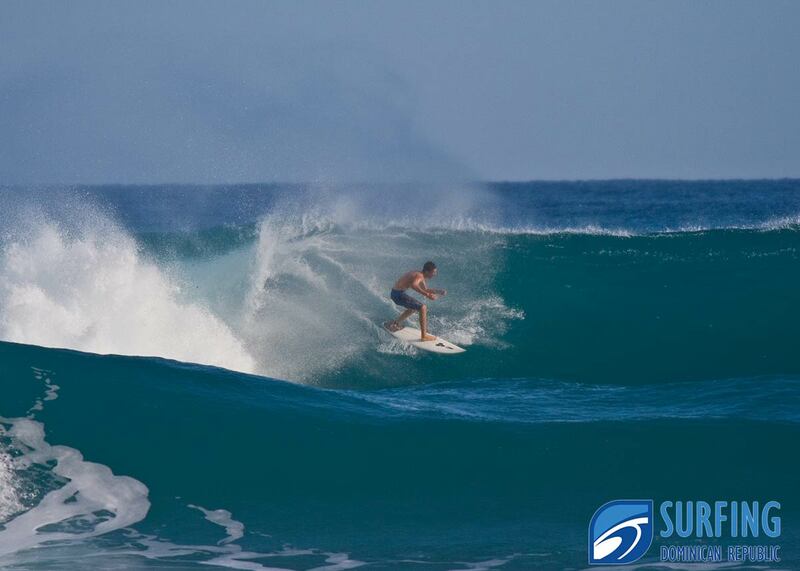 Encuentro is the main surf spot a 5 minute drive out of Cabarete, ideal for beginners, intermediate and expert surfers, almost always a wave to be found. 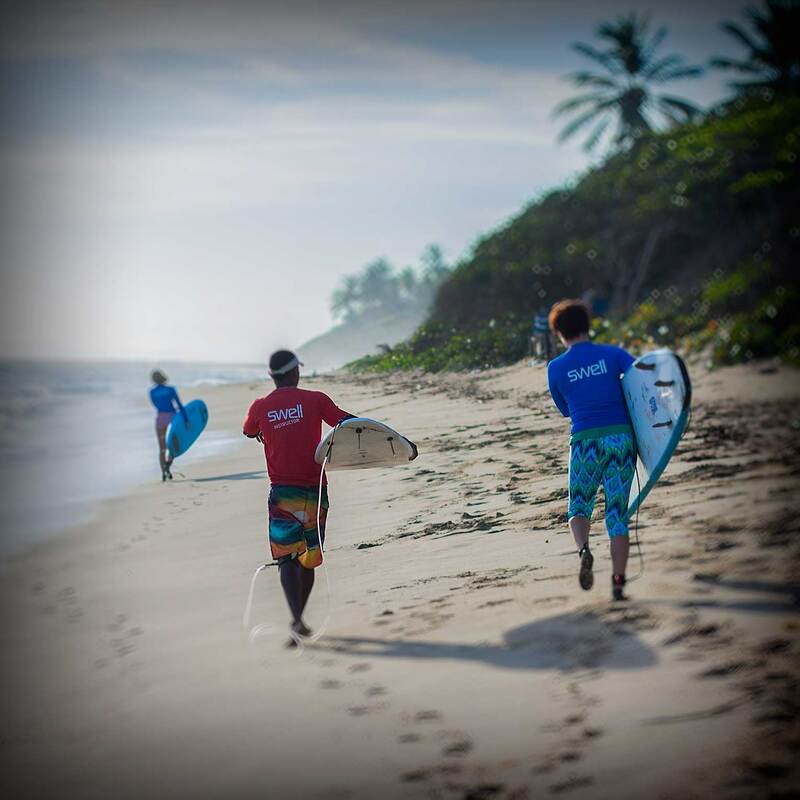 Cabarete bay itself has a fun shore break for body boarders and body surfers, and when all the other spots close out on one of the huge days, there’s a fun waves to be surfed inside the bay. 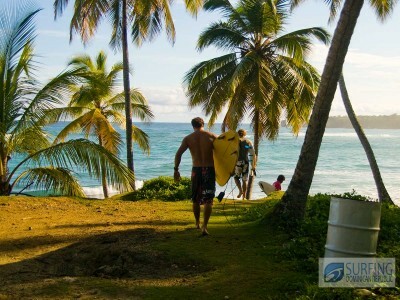 To the east of Cabarete there’s a few fun beach breaks, that are best in the summer time. 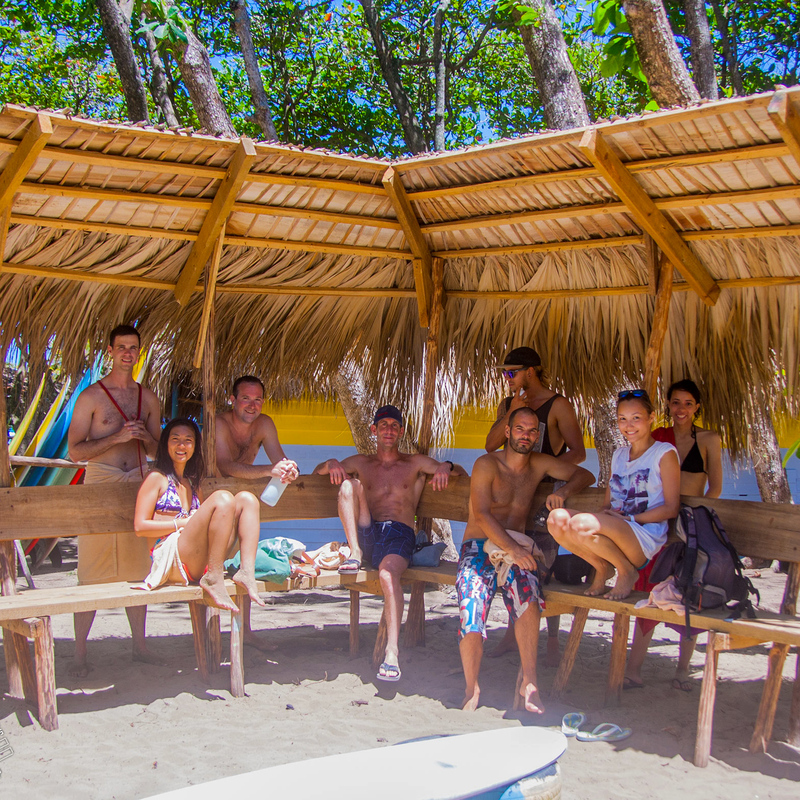 So it’s best to base yourself in Cabarete if you want to be close to all the decent surf spots. 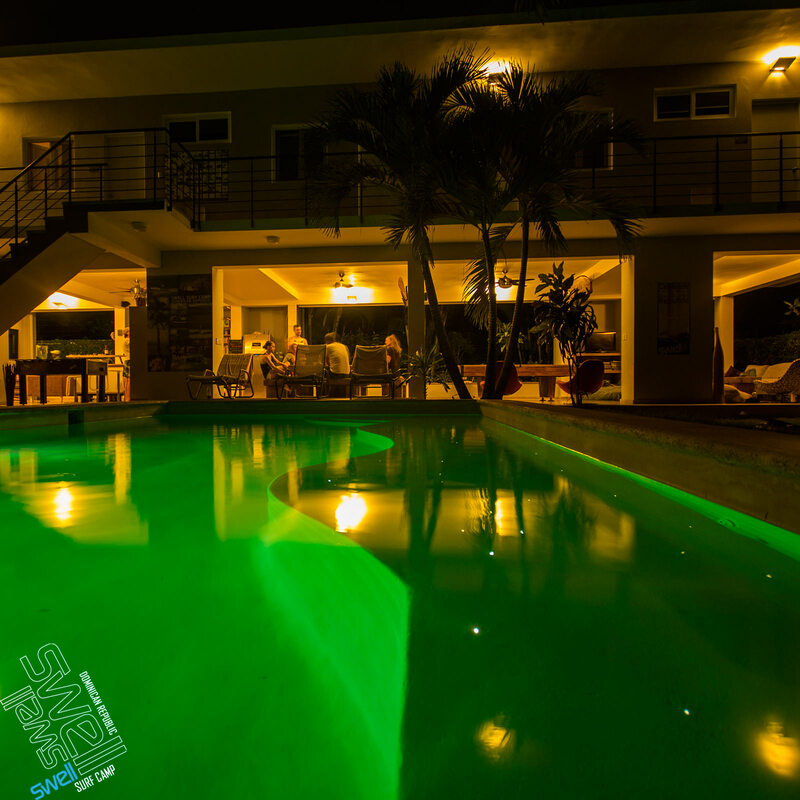 Where to stay in Cabarete on your surfing trip? It depends on a few different things, like budget and if you plan on doing other activities and if you want to rent a car. 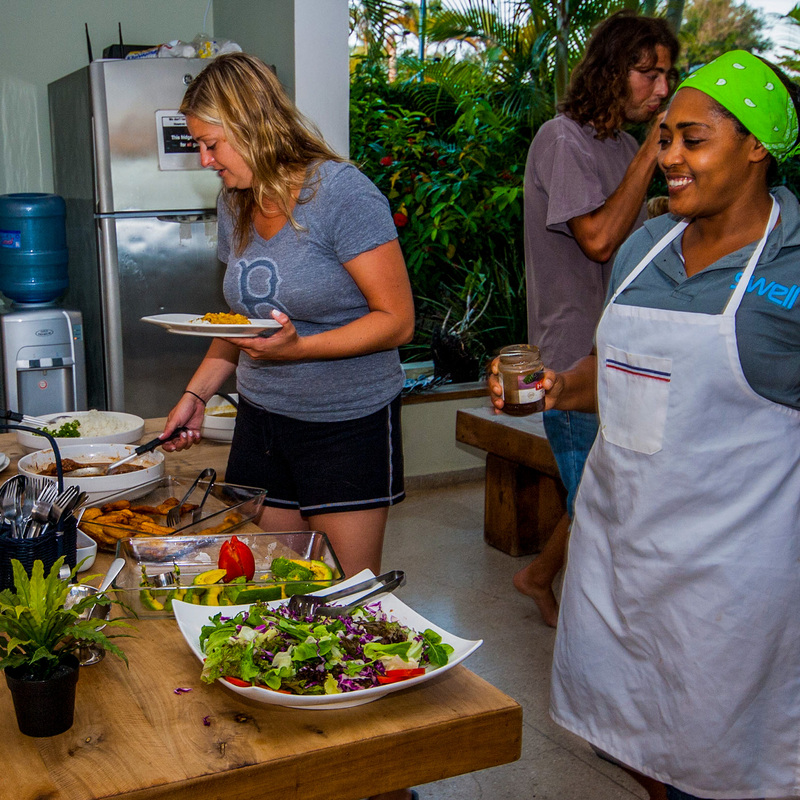 If you don’t want to rent a car and want to see the different surf spots that the coast has to offer, by far the best option is Swell Surf Camp. 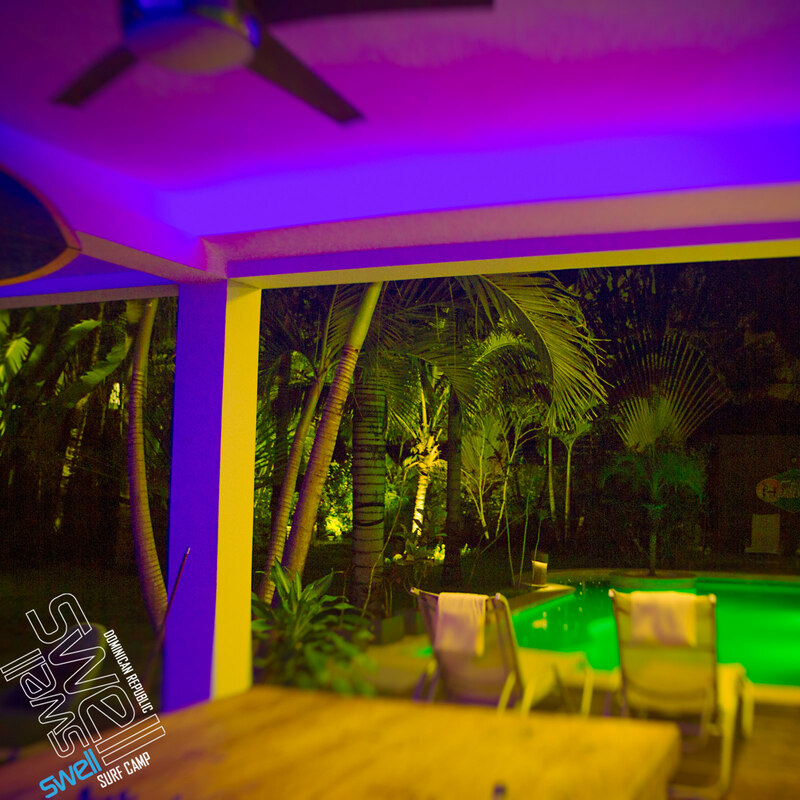 Located right in center of Cabarete, quiet location, but within walking distance to the bars and restaurants, they also provide transportation to the main surf spot. 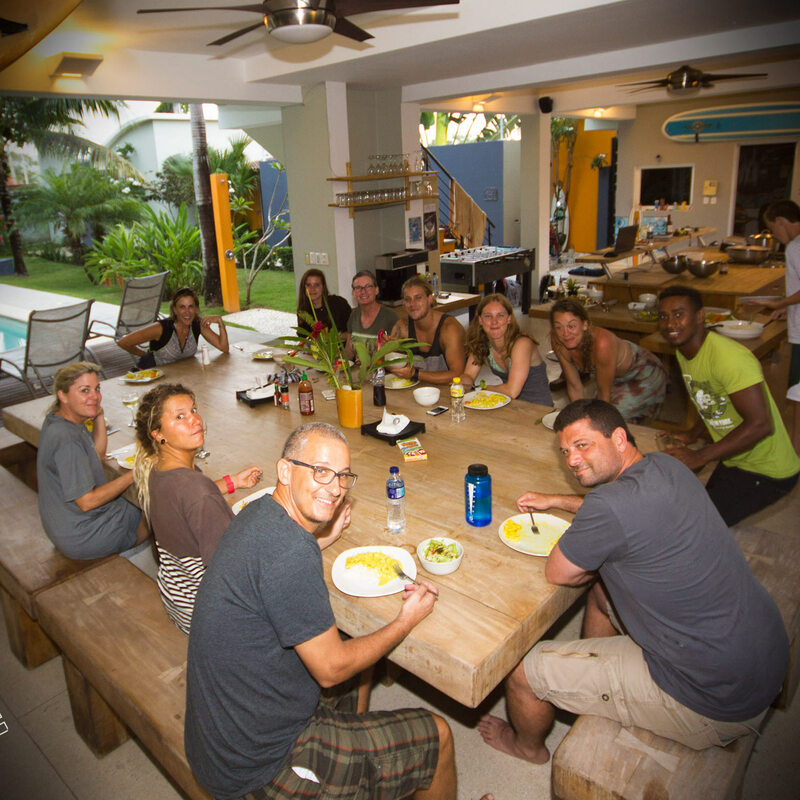 The offer surf lessons, board rentals and a great Surf & Yoga Holiday Package. 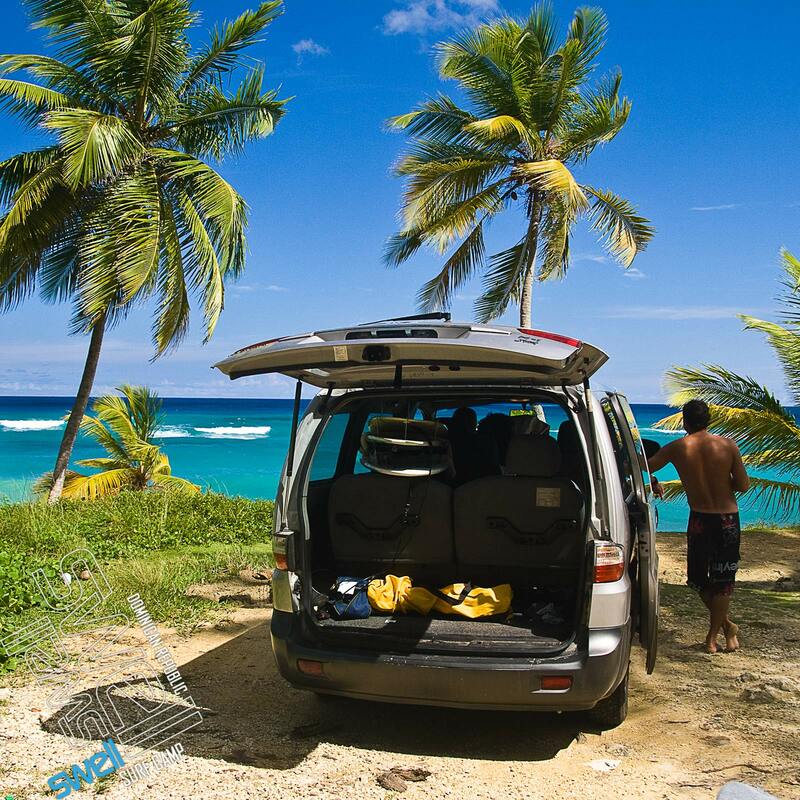 Other alternatives for accommodation in Cabarete for a surf holiday? There are apartments for rent as well in cabarete, keep in mind that the surfing beach of Playa Encuentro is a 10 minute drive, or 1 hour+ walk from Cabarete centre, so you’ll either have to rent a car, or get a daily taxi service ( jumping on the back of a motor taxi is also an option, but definitely not the safest) . 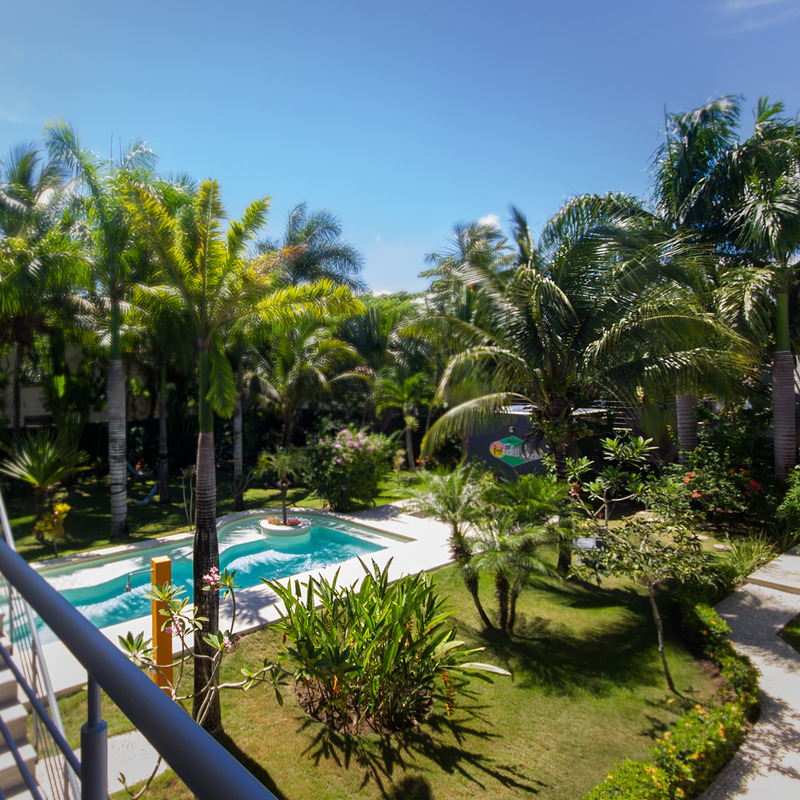 Expect to pay between 100-250 USD for a safe and comfortable apartment / condo in Cabarete centre. 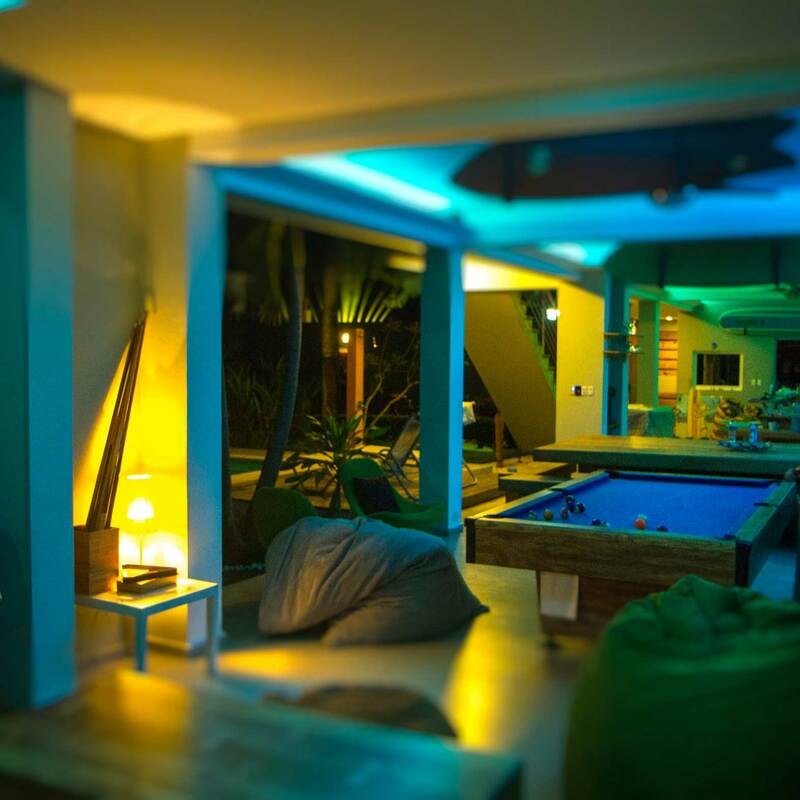 There are also cheap hotels / hostels in the 30-60 USD price range in cabarete ( off the beach) but don’t expect too much comfort or luxury for those prices.